Kenny Hulshof is a former congressman from Missouri. Prior to joining KBS, Kenny served with distinction in the U.S. House of Representatives for 12 years (1997-2009), representing Missouri’s Ninth Congressional District. After defeating a 10-term incumbent in 1996, Kenny was appointed by then-Speaker Newt Gingrich to the powerful Ways and Means Committee. He served on this prestigious committee during his entire congressional tenure and was a member of the Health and Trade subcommittees, as well as the Budget Committee. He established a strong national reputation as a leader with integrity on the House Committee on Standards of Official Conduct, also known as the Ethics Committee. Kenny rose to national prominence when he co-authored the Ticket to Work and Work Incentives Act. The bill, signed into law by former President Bill Clinton, helps individuals with disabilities lead independent, productive lives. He also championed legislation reflective of his diverse district: education savings accounts; biofuels incentives; telemedicine and health information technology initiatives. Kenny was a key player during the consideration and passage of significant tax legislation in 1997, 2001, and 2003. 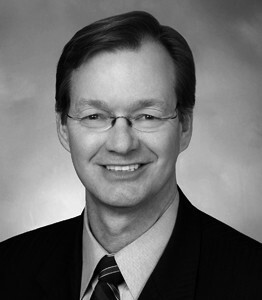 Prior to his congressional career, Kenny served as a special prosecutor in the Office of Missouri Attorney General. He also held previous positions as an assistant public defender and assistant prosecuting attorney for Cape Girardeau County, Mo. Certified as a specialist instructor in criminal law, Kenny frequently lectured at law enforcement conferences and seminars throughout the Midwest. Most recently, Kenny served as vice chair of Polsinelli’s Public Policy practice.